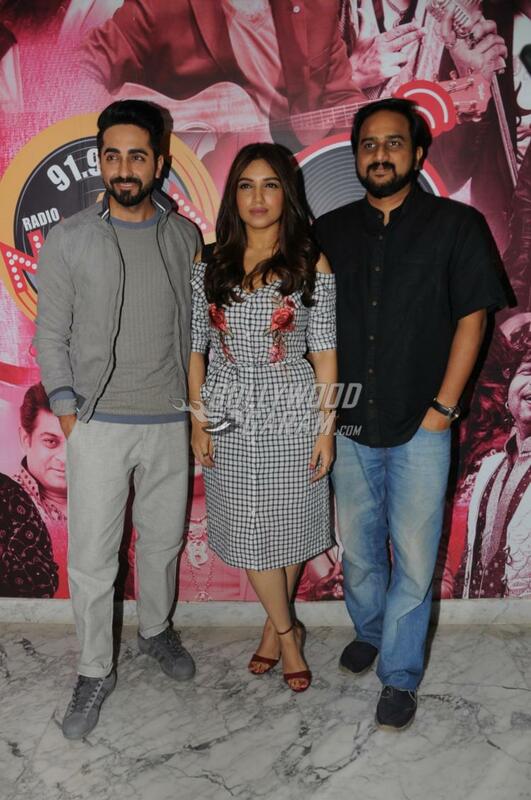 Ayushmann Khurrana and Bhumi Pednekar are on a promotional spree for their upcoming film Shubh Mangal Saavdhan. The lead actors of the film released the unplugged version of the song Kanha from the film while at a radio station in Mumbai on August 17, 2017. The song is sung by Ayushmann himself. The actor while talking about the song said, “It is a love song in the film and our favourite too. 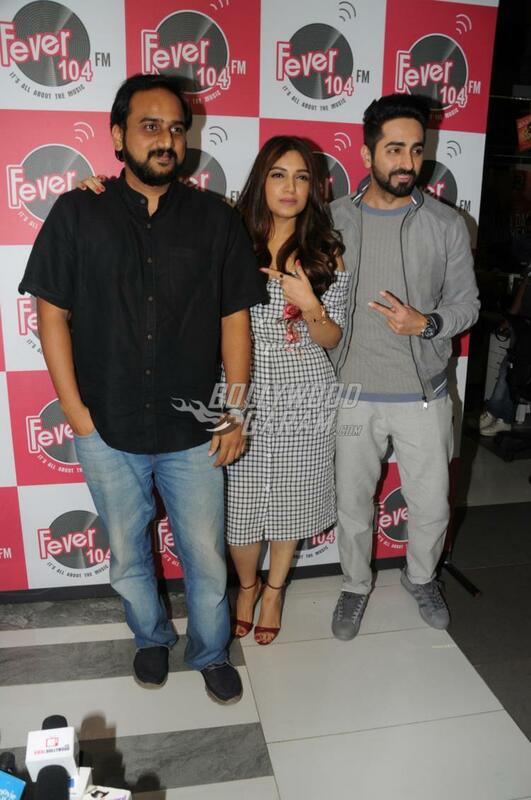 I have sung the unplugged version of the song and we are very excited for the same.” Bhumi, during the launch and promotional event, was seen in a checked outfit while Ayushmann was seen in a casual t-shirt, grey pants and a jacket. 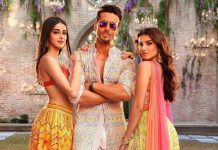 The upcoming comedy drama flick is directed by R.S Prasanna and is jointly produced by Aanand L Rai and Krishika Lulla. Ayushmann will be seen playing the role of Mudit Sharma, who is engaged to a girl in an arranged marriage but suffers from an awkward problem of erectile dysfunction. 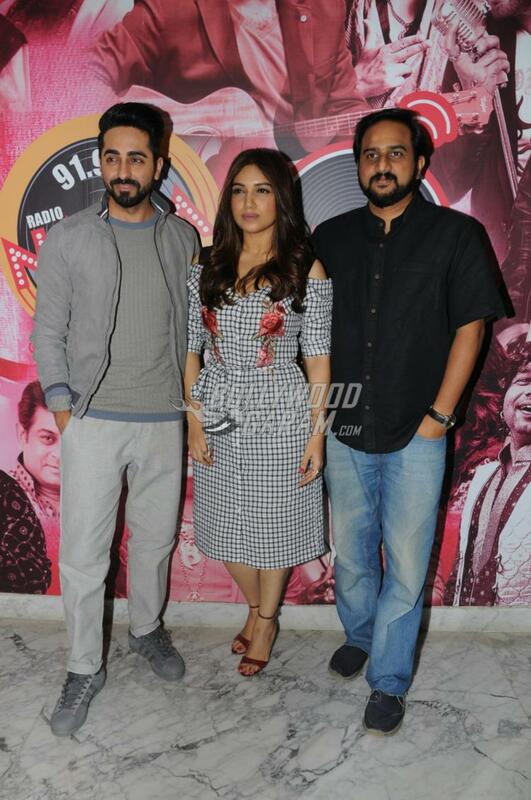 Shubh Mangal Saavdhan is ready to be released in theatres on September 1, 2017.